No one wants to think about his or her death, but a little preparation in the form of a prepaid funeral contract can be useful. In addition to helping your family after your death, a prepaid funeral contract can be a good way to spend down assets in order to qualify for Medicaid. A prepaid or pre-need funeral contract allows you to purchase funeral goods and services before you die. The contract can be entered into with a funeral home or cemetery. Prepaid funeral contracts can include payments for: embalming and restoration, room for the funeral service, casket, vault or grave liner, cremation, transportation, permits, headstones, death certificates, and obituaries, among other things. One benefit of a prepaid funeral contract is that you are paying now for a service that may increase in price—possibly saving your family money. You are also saving your family from having to make arrangements after you die, which can be difficult and time-consuming. And, if you are planning on applying for Medicaid, a prepaid funeral contract can be a way to spend down your assets. Medicaid applicants must spend down their available assets until they reach the qualifying level (usually around $2,000, depending on the state). By purchasing a prepaid funeral contract, you can turn available assets into an exempt asset that won't affect your eligibility. In order for a prepaid funeral contract to be exempt from Medicaid asset rules, the contract must be irrevocable. That means you can't change it or cancel it once it is signed. Before purchasing a contract, you should shop around and compare prices to make sure it is the right contract for you. Buyers need to be careful that they are buying from a reputable company and need to ask for a price list to make sure they are not overpaying. 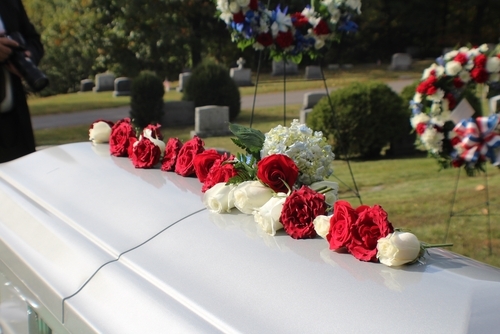 For information from the Federal Trade Commission on shopping for funeral services, click here.